WIVI was invited to present its use case as last years’ finalist of the Watson Build Challenge in Europe. Last May 29th IBM Watson presented the Watson Build 2018 Challenge in Barcelona. The event had a workshops’ format, with the aim of presenting not only the details of the contest, but also to share ideas and experiences of experts, with practical cases from the previous edition. 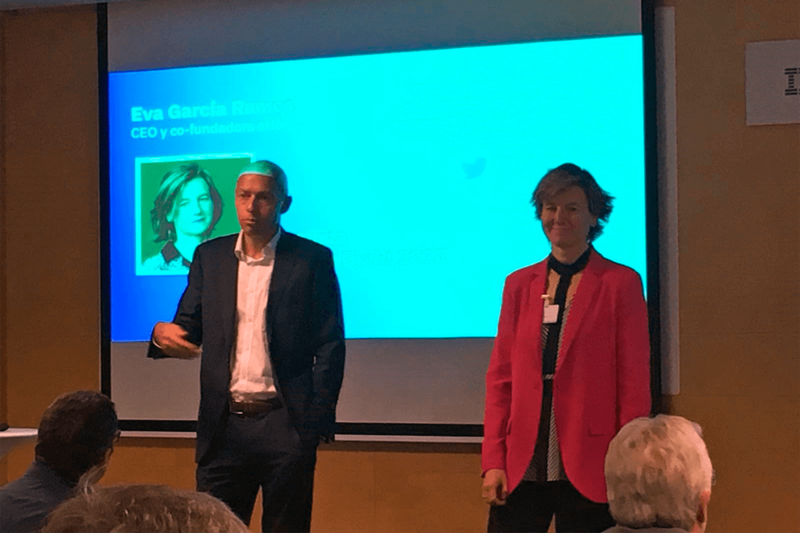 Eva García Ramos, co-founder of WIVI, talked about the company’s experience during the whole process, and how their innovative solution allowed them to reach a very good position at the Watson Build European final in Cannes. WIVI was one of the three Spanish companies selected to reach the Watson Build Challenge European final last year. The challenge consisted in thinking, building and putting into production solutions that used cognitive abilities as the core of their philosophy. The business plan was built in 3 months, and the prototype was developed in another 1,5 months. As Eva mentioned, the contribution of Watson’s technology was key in terms of training for the processing and re-elaboration of the obtained data. Also, reaching the european final has been a meaningful experience for a start-up like e-Health Technical Solutions and WIVI, as it boosts their international visibility.